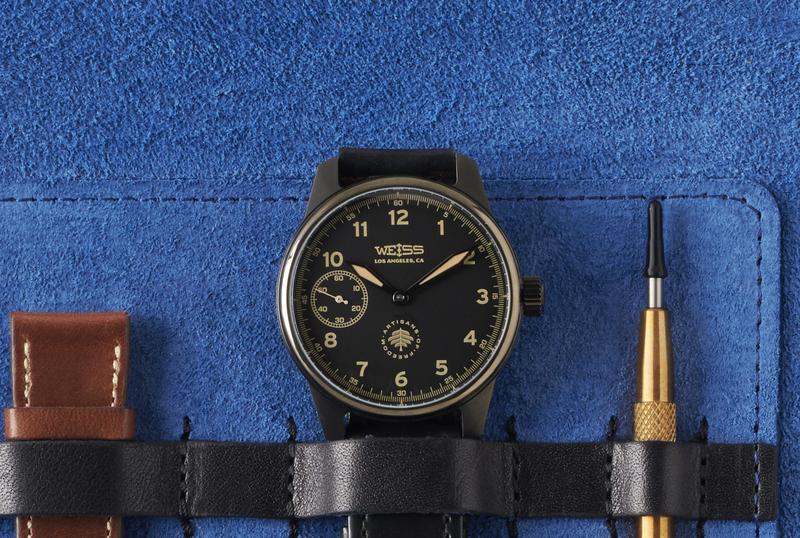 As part of their Artisans of Freedom initiative, Allen Edmonds partnered with independent LA-based watchmaker Cameron Weiss resulting in a special darkened version of the company’s American Issue Field Watch. The 42 mm case has a black DLC coating on 316L stainless steel and black Sword-shaped oxidized steel hands with beige lume. 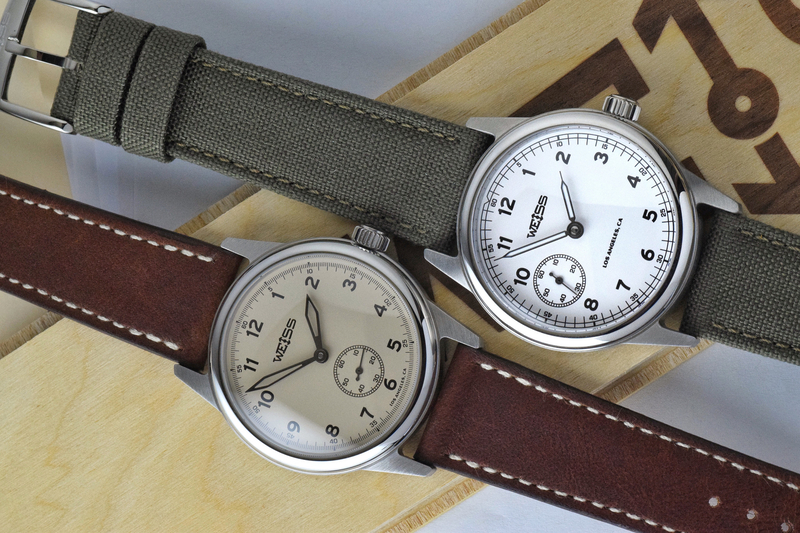 An “Artisans of Freedom” logo is emblazoned on the dial at 6 o’clock. Inside the watch is a manually wound Weiss caliber 1003 movement with a limited edition black plating that’s manufactured and assembled by Weiss in Los Angeles. “Allen Edmunds” is engraved on the main bridge, along with “Weiss.” The bridges feature Geneva stripes and the screws have been blued. Each watch is presented on a black Horween leather strap with a coordinating black DLC buckle. It comes in a black leather pouch along with an additional brown strap and changing tool. Each piece is individually numbered and the edition is limited to 100 pieces. 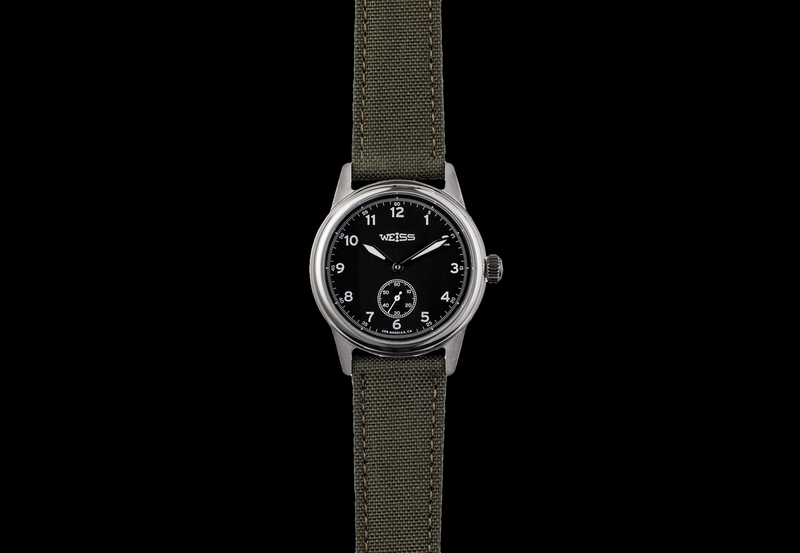 Retail is $2,195 and the watch is available for purchase at allenedmonds.com and at select Allen Edmonds flagship stores. Editor’s note: the first production run sold out but more are coming soon. Previous articleEditorialIs the watch show bubble bursting?